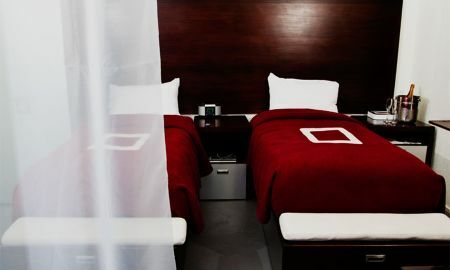 The Keating Hotel is a luxury boutique experience like no other in downtown San Diego. 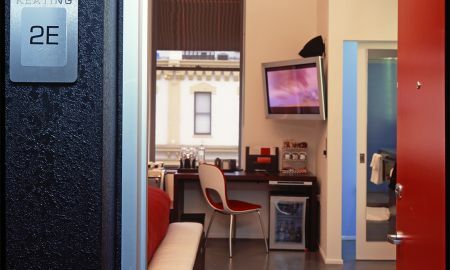 The hotel is centrally located in the heart of San Diego's Gaslamp quarter, offering easy access to local attractions. The hotel’s beautifully-appointed rooms and suites leave nothing to be desired. Guests can rest, unwind, and let The Keating’s team help plan all their recreational needs for their trip to San Diego. Guests can also enjoy the luxury of The Keating's spa services, which include a range of delightful in-room massages from some of San Diego's finest massage therapists. All spa options are crafted to provide balance and relaxation to guests in the comfort and privacy of their own room. With 2,500 square feet of space, the hotel’s historic venue can accommodate a variety of memorable occasions for up to 150 guests. Facilities are equipped with the latest technology, and guests are provided with a personal events team to ensure every detail is perfect. 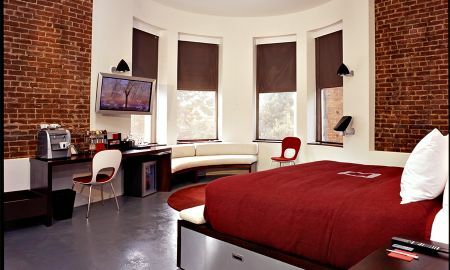 Set in a Romanesque Revival-style property dating from 1890 in San Diego’s Gaslamp Quarter, The Keating boutique hotel is just minutes from numerous unique shops, restaurants, bars, lounges and nightclubs. The property is 3.2 kilometres away from Balboa Park and San Diego Zoo. San Diego International Airport is 6.4 kilometres away.